I wasn’t really sure what to do for this one, but I thought about Merrill and how she wanted to use the eluvian, but the rest of her clan said it was too dangerous, and she thought it was just superstition, and that she could help them. 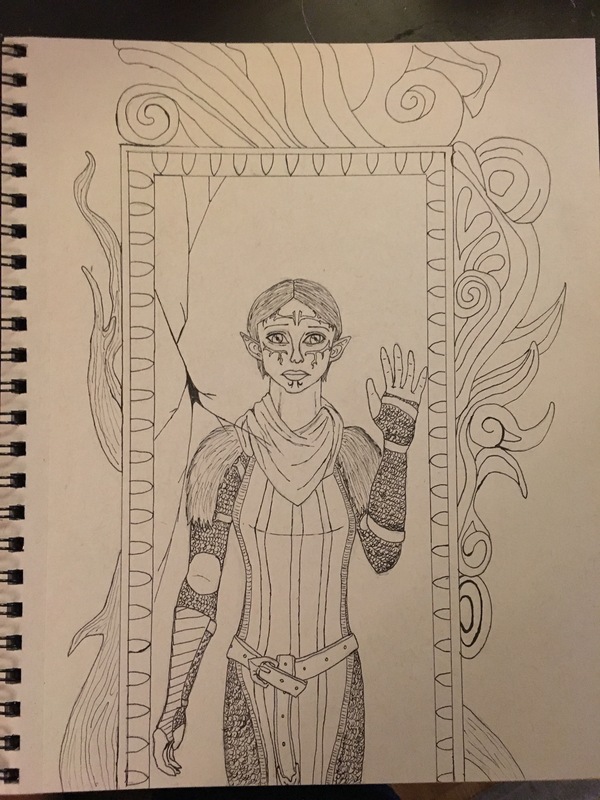 So I drew Merrill and her eluvian. Might do more with this one later.